Today I want to share one of my favorite go-to holiday recipes. 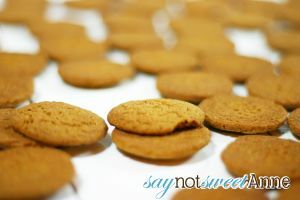 These spicy ginger snaps are filled with a sweet butterscotch and pumpkin filling, making a delicious Pumpkin Ginger Snap cookie. I usually pull this one out for work functions, or when I don’t have a lot of time, since they are delicious with homemade and store bought ginger snaps. 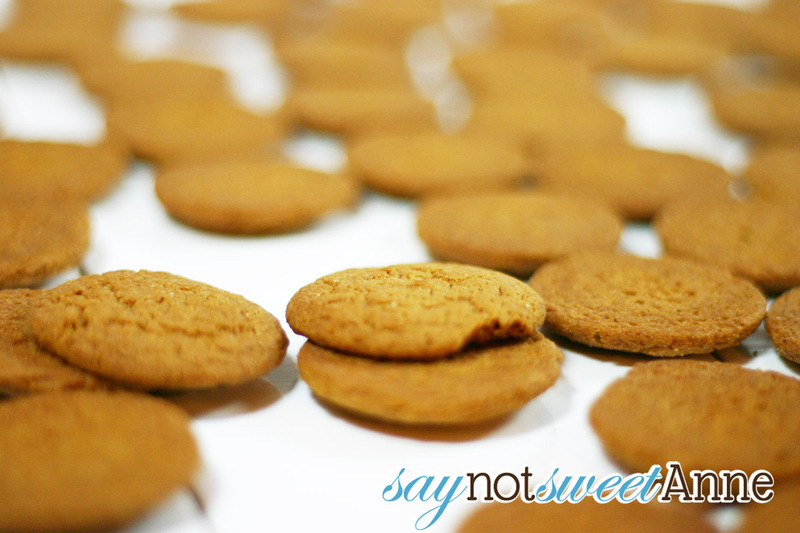 I’ll show you how to make the gingersnaps from scratch, but I won’t tell if you’re running behind and decide to start with some store bought snaps. Using a stand or a hand mixer, whip butter and sugars until light and fluffy. Add the molasses, egg and vanilla. Beat until well incorporated. 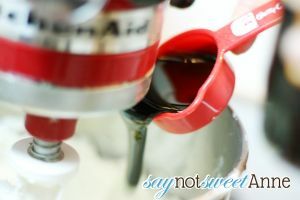 Add the dry ingredients to the mixer slowly, and mix until well combined. 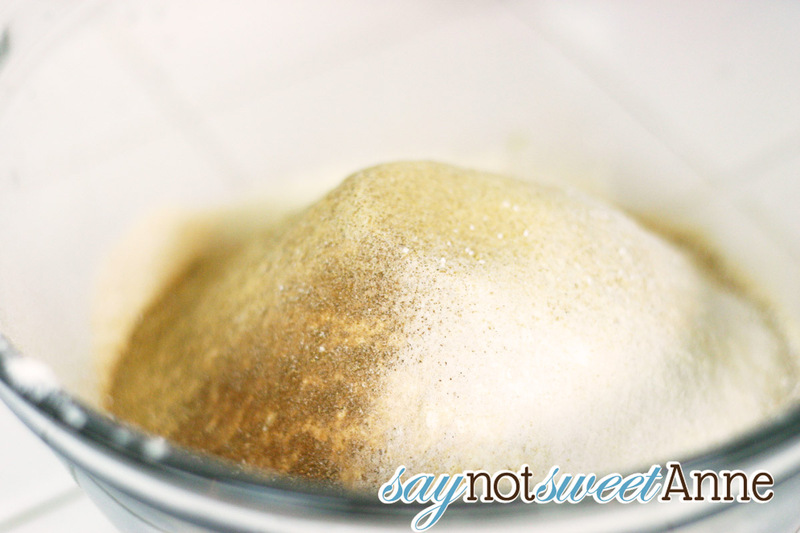 Place some white sugar in a separate bowl. (I use a Cinnamon sugar) Roll the dough into 1 inch balls. I use a small melon scoop to portion them evenly. Roll the balls in the sugar and place them on a baking sheet 2 inches apart. Using a plate or the bottom of a glass, flatten the balls slightly. Let snaps cool on a wire baking sheet while you prepare the filling. Microwave the butterscotch chips in a large bowl for 30 seconds at a time, stirring in between, until melted. Add the pumpkin, spices, and 1/2 of the can of frosting. Stir until combined. If needed, microwave at 30 second intervals until smooth. While warm, pipe the filling onto the bottoms of half of your ginger snaps. After a few minutes the filling will soft-set. Add the top snap. Once filled, the snaps will absorb some moisture from the filling. It makes them more of a whoopie pie texture than a true, crunchy, snap. My family prefers them this way- but if you want yours to be snappy when your guests eat them, hold off on filling until the last possible moment. I hope you have liked my recipe and that you enjoy the rest of your holiday weekend! mmm, these sounds very yummy. Straight gingersnaps are not my favorite, but adding this yummy filling might be just the trick! 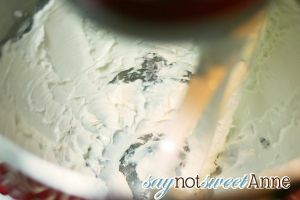 As a regular follower of your blog I am not surprised that your were asked to participate 🙂 Not only are the recipes good but your pictures are just as yummy! Marty, that’s SO kind of you to say! Thank you so much for your encouragement – You’ve brightened my day! 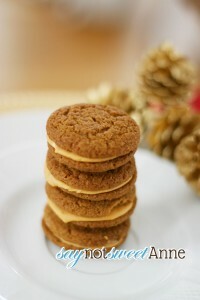 Can’t wait to try the Pumpkin Gingersnaps!!! They sound YUMMY!!! These sound and look so yummy!!! 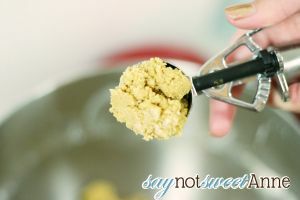 If this recipe yields cookies that taste as good as it looks I will add it to my cookie list this Christmas. Thanks and what an exciting giveaway! 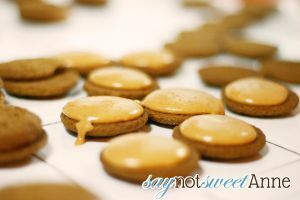 Sarah C. recently posted..Christmas Cookie Link Up! Pingback: Inspiration Friday No. 92….welcome! 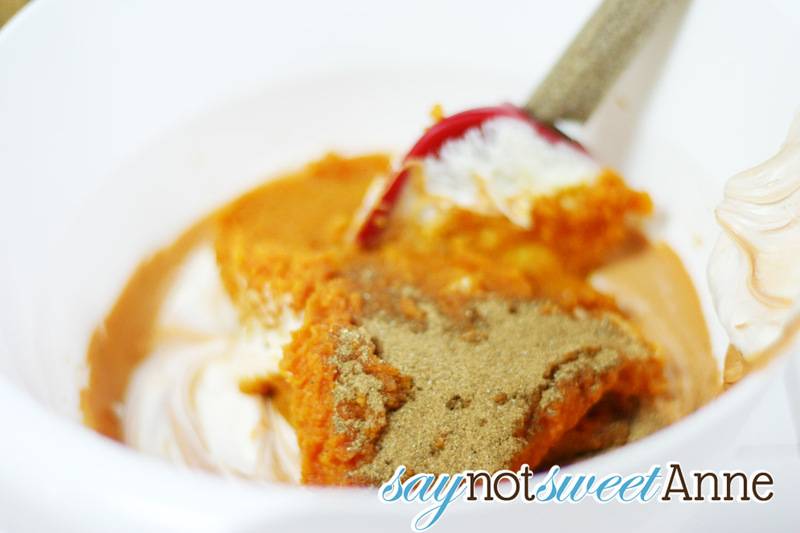 Yum – I love butterscotch anything! Pingback: 24 Christmas Cookie Exchange Recipes | events to CELEBRATE!